This is THE best video on the Internet. It is surreal, it is filled with attitude and if you listen closely, starting at 2:36 you will here the fastest off the cuff utterance of the phrase “since I’m so smart” that has ever been recorded. I do not view the video as part of any legitimate conversation, but as an art piece unto itself, a song that has yet to be written. “Did I really say it, you mean do I really say it of course I did say it what a way to ask me did I really say something that Entertainment Weekly reported. Yes I really did say it. 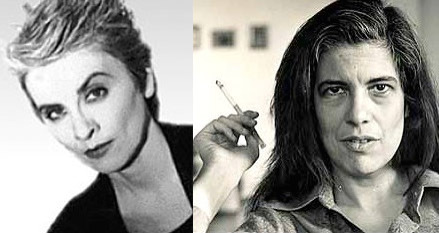 CAMILLE PAGLIA: Sontag is Sontag is gone she I mean I’m so happy she came out of hiding I have been talking about Sontag sinceimsosmart from my rise to fame for the last three years right no one is interested. The transcript even suggests bringing out a turntable, which is much needed for this particular video clip.